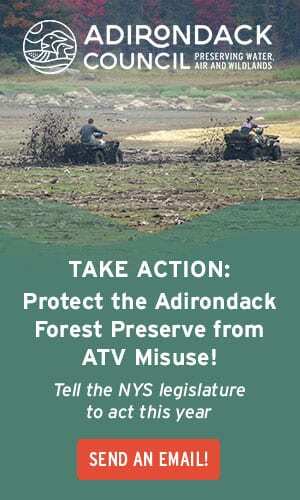 The Adirondack Association of Towns & Villages was invited to provide the “No” response in this debate, but in truth, this is not a yes-or-no question. 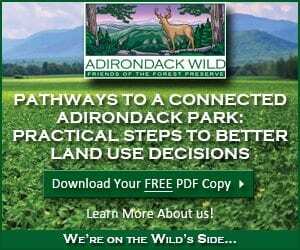 First, a little background: Any state-owned land in the Adirondack Park is given one of seven classifications by the Adirondack Park Agency. The type of classification dictates the type of human activity allowed. This is important because the types of recreation and amenities allowed directly impact the number of people who might like (or even be physically able) to use the property and, therefore, be present to patronize nearby businesses. “Wilderness” is the most restrictive classification, with no motor vehicles or bicycles allowed, and no buildings. 1. Does the expansion require the purchase of private land, and is this the best use of taxpayers’ money? 2. Will the purchase of private land, or re-classification of existing state land, have a positive or negative impact on the local economy and environment? 3. Does the land to be classified as wilderness meet the state’s own very clear definition? Questions 1 and 2 should only be answered on a case-by-case basis following a comprehensive economic and environmental evaluation. The answer to question 3 should be much clearer. And if the answer is “no,” the land should not be classified as wilderness. Yet one need not look far to see examples where state-designated “wilderness” extends right up to the edge of heavily used — and substantially noticeable — public roads. In other instances, the state has acquired private lands on both sides of a long-used public road and declared those lands wilderness. In each of these examples, and numerous others, lands that in no way met the written definition of wilderness or provided what anyone could seriously consider a “wilderness experience” have been designated as such — and following these classifications, roads have been closed and man-made features that had been present on the land for generations, such as fire towers, cabins and boat docks, have been removed. In short, the state has fabricated an artificial “wilderness” experience. One of the things that makes the Adirondack Park such a special place is its diversity of landscapes and land classifications. There is certainly a place for wilderness in this mix, but only the truly authentic kind. No lands should be classified by New York State as wilderness—and saddled with those very serious land-use restrictions — unless they clearly meet the state’s definition. Photo of High Peaks Wilderness Area by Carl Heilman II. Matthew J. Simpson is president of the Adirondack Association of Towns & Villages. 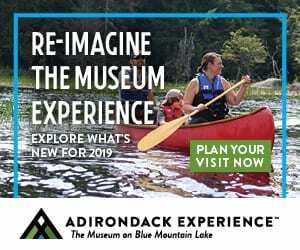 A version of this story originally appeared in the Adirondack Explorer, a nonprofit newsmagazine devoted to the protection and enjoyment of the Adirondack Park. Get a full print or digital subscription here. This isn’t even a question pertaining to wilderness. “Forever Wild” doesn’t even include the concept of commercial use. But, given the nature of existing communities, I would say a large wilderness tract will definitely impact local business. 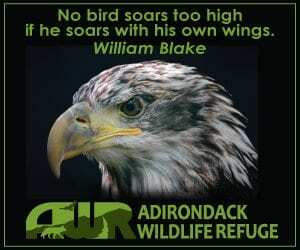 Especially when you consider the 23million or so who visited the ADK’s last year. They surely dropped a few dollars in the bucket. 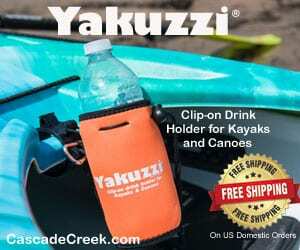 Local businesses have set up and thrive in the ADK’s, every person needs food, fuel, water, and shelter… Somehow… Somewhere… Small local businesses near wilderness tracts always see an improvement of some sort. No. This is why there are three general classifications. Wild Forest, Primitive and Wilderness. All land, if allowed to, will revert to wilderness. Not all land IS wilderness now. And, with major highways, existing towns, etc, some land will NEVER be wilderness. This is where a correct evaluation of the parcel will be needed by the government through the APA/DEC and public in the towns. Some land will need to be off-limits, even to hikers. Some will be OK to use for bicycles or snowmobiles. But this is where the “USE” decision is made, not whether to purchase it or not in the ADK’s. It should always be first defined as Wilderness to be later classified as something less if needed. But, “use” is defined AFTER the purchase. As above, it is too good of a deal to pass up. The state does indeed pay local taxes on its Forest Preserve holdings. 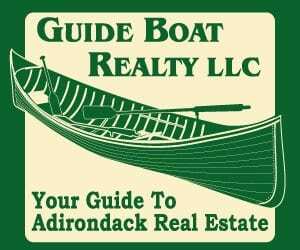 The most recent number I could find was from 2010, when the state paid $75 million in taxes to Adirondack villages, towns, and counties. 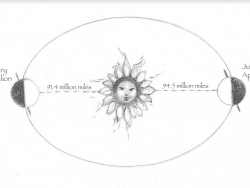 A clear and uniquely Adirondack element is left out of this argument. Sure, the APSLMP articulates that the footprint of man should not be evident in wilderness, but the document also acknowledges the importance of recovery and restoration. 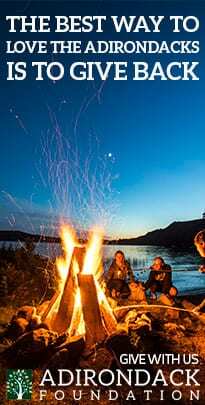 In this day and age, where there are so few places man has not “trammeled,” the opportunity to “restore, where necessary,” a natural community that, for all other purposes, meets wilderness standards is what makes the Adirondacks so special. Restoring a natural environment is not artificial; it allows the land to return to a primeval state. Artificial would be creating something from nothing. Wilderness users do crave an authentic experience, both physically and psychologically. What is most authentic about wilderness are the opportunities that present themselves in the landscape. Wilderness is as much about the past as it is the future. I agree that lands should be classified according to the APSLMP, but saying that no lands should be classified as wilderness unless clearly meeting the state’s definition has one flaw. Clarity in wilderness guidelines is something of a paradox. We’d like to think it’s all cut and dry, but it’s not. In the APSLMP wilderness definition, words such as “generally” and phrases such as “substantially unnoticeable” depart from normal straightforward political jargon. It may seem clear but there is room for interpretation, which makes decisions a little more complicated. Mr. Simpson, I agree with much you have said, with the exception of this prerequisite for classification as Wilderness. If previous use or non-use were to be considered a major factor, we would only have Intensive Use classifications, as virtually ALL of the Park was used intensively before NYS started protecting it. Only some small enclaves in private hands or inaccessible terrain were never logged, mined, developed, or farmed. Setting aside a certain area of “used” land with the intention of keeping motors and development and resource extraction out is certainly allowed by the current classification system. It is the location of that “used” land (in an overall picture) and the natural resources it contains that should point toward any given classification, not its previous use. Perhaps this is only somewhat related to the article, but one of the dumbest restrictions for wilderness land is the prohibition on the use of power tools for trail maintenance. As I understand it, trail crews cannot use power tools of any sort. How much longer does it take to build a wooden bridge or wooden walkway without being able to use an power drill or saw? And how much more work to clear blow down? Can you imagine how much more desperately needed trail maintenance could be done without such a rule, or how fewer tax dollars would be needed? And if a chain saw is such an imposition, there are battery operated power tools that are much quieter. Certainly many backpackers, myself included, bring rechargeable electronic devices into the woods. Not much difference if you ask me. I agree – at least until HPW trails are stabilized. Perhaps just allow it in certain zones during certain years. I don’t think passing a trail crew using a chainsaw or two would be worse than 75 people at the summit. Another discussion is if trunk trails in the HPW should be managed more like Intensive Use areas. Thanks Smitty for bringing up this point. I’m a firm believer in the trail crews sponsored by the DEC, Adk. Mt. Club, 46ers as well as the multitude of volunteers that work very hard to re-route and ‘harden’ the trails year in and year out. A sterling example for easy observation is the nearly complete redo of the ranger trail on Pok-O-Moonshine on a trail that the DEC a few years ago had rightly planned to close due to severe erosion. 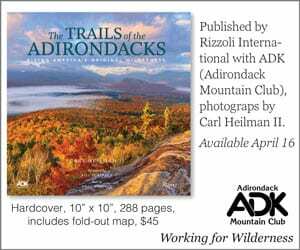 I try to put my money where my ‘mouth’ is and donate to these trail crews through the ADK Mt. Club & the 46ers(which I urge others to do as well). 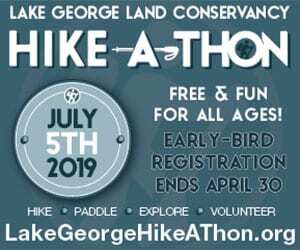 As of now this seems the best way(note I didn’t use the word solution) to the ever-increasing burden on popular trails throughout the Adks., especially in the high peaks. All that said, I, like Smitty, have wondered why power tools are not allowed. These trail crews must feel at times like they’re fighting a losing battle despite their incredibly hard work and skill applied to this trail work. I’m all for the sanctity of the wilderness experience which includes the quiet of the wild vs. our typical environments but the increased productivity that power tools–with understandable limits–would bring could help compensate for the fact that we need more trail crews to deal with this daunting tasks. (And hey Gov. Cuomo & the DEC, MORE Rangers are needed too). Hi all. 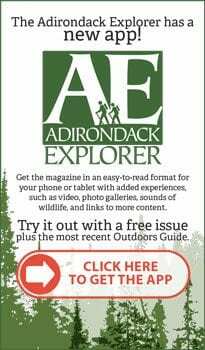 I have worked for the ADK Pro Crew, NYS DEC High Peak Trail crew for the past 4 years, exceptions are made and power tools are used for specific projects in a controlled manor. We still try to do most of it traditionally but in the name of productivity power tools are sometimes used… plus heli drops of material… thats a big power tool. Thanks Dev for your reply and service! I was aware of material drops, but not so much the power tools. One question – have they or are they able to drop in a Bobcat or similar excavating vehicle for some extensive projects? Change the classification of trail corridors to intensive use. Define trails under the intensive use classification just as campgrounds and day use areas are defined. 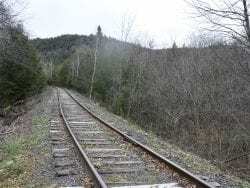 Trails could then be constructed and maintained in a manner consistent with use. If nothing else, it could be tried on the trunk trails. Agree. Try first is a good idea – on a limited basis. Good on you Dev, and all the hard-working and dedicated trail crew workers. On those cold, wet, nasty days when you’re out there doing your tasks, please know that most of the people wearing the boots that will use your re-built, re-routed trails greatly appreciate the work you do. Hurricane, Jay Mt., Pok-O, Lyon Mt., Mt. Van Hoevenberg, and many others; keep up the good work and may a few power tools help you do even more. I find myself right in the middle of this argument. I favor the status quo, approximately.I expressly reject extreme or alarmist views, or excessive bureaucracy or lawyerly positions. 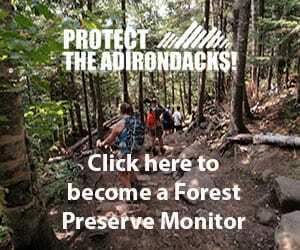 I want the Adirondacks managed reasonably. Though a moderate position, I feel strongly about it. I feel justified because I’m old! 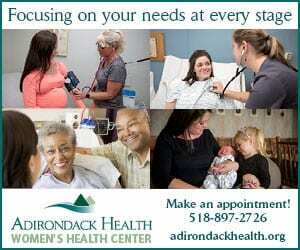 I have experienced the Adirondacks from many different points of view, beginning in the 1950s. Some feel uncomfortable about holding simultaneous points of view, and choose just one. That’s the definition of narrow-mindedness. Both of these pro and con articles don’t note that the most well protected land in the park is private land that is under conservation easement that prevents development. Especially the land that is posted so that even things like hiking are very limited on that land. It is all there for the folks that just want to know that there is wilderness land out there that Bill described. It also generates tax revenue for the state (albeit at lower levels than you get from other less restricted lands) rather than costing the taxpayers. Some parcels that come to mind are much of the Whitney estate as well the Rockefeller lands and Brandon Park. Will never be developed and will never be trampled like much of the Forest Preserve Wilderness land. Oh and no rangers needed on these lands either. The best thing we can do for Follensby Pond is let the Nature Conservancy keep it and keep it off limits. Hopefully you are right. Haven’t heard much about Follensby lately. All that I can say is that rampant development on Long Lake has ruined the wild experience of the place. Paddlers now have to dodge jet skiers, even at the outlet at the top of the lake. It’s a shame how this once serene place on the edge of the High Peaks Wilderness has become so terribly degraded. But the village of Long Lake seems to be doing well, which causes me to wonder whether the value of this place should be measured in dollars. Because if it is, then Adirondack’s are heading down Pocono Road. 1. Socialism and communism would not have left any land in private hands. “I am 100% anti Blue Line” “I would leave DEC intact but erase all but tje ORIGINAL BLUE LINE.”. ??? 2. Leave the “original Blue Line” and do what with the lands therein? Help us understand what you mean. Does this help? 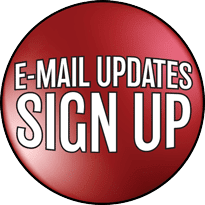 Here’s the link to Mr. Witham’s blog. Fascinating . . .
Kinda what I was expecting – and then some! The targeting of some People for Land for FOREVER WILD began when the Europeans arrived and began the invasion. Every thing is measured in dollar amounts Tom….therein the problem lies. If we were of the mind that every link in the ecological circle we damage damages the whole, then maybe there’d be a stop to our madness. Maybe! We’re not responsible as human beings and I doubt we’ll ever come to our senses before it’s too late which it may very well be by now. That coming from an optimist of course! The leaders of Long Lake are like leaders everywhere else in this country…they ever seek money to fill their coffers at whatever expense. We are irresponsible as a species the way we go trashing our future. Cheap thrills are more important than solitude or a true wilderness experience Tom, at least to some of us evidently, in this case those who run Long Lake. 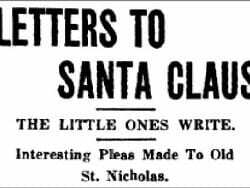 The “Mayor of Cold River City” would not be very happy today. The Mayor of Cold River City was quite an amazing man Boreas. To think what he achieved! A lot of us aren’t happy and if my grandfather were alive he’d have more than a few words to say, like many other grandfolks surely would were they to return. Squatter or not, he was still quite an individual. That the officers of the day recognized that uniqueness and didn’t immediately evict him and burn his structures shows how things have changed over the years regarding enforcement. Very little “grey” area in today’s Park. I the eyes of many people today he and Clarence Petty (also a “squatter” on Forest Preserve land) would be vilified for their “horrific” illegal use of state lands. My friend when I was a kid had a prized family photo in his living room of his uncle (a forest ranger at the time) posing with Noah John Rondeau at his hermitage. I am amazed that he was able to spend winters in those deep Adirondack woods in -30 degree temperatures Adk Resident. Deep snows, no human around for tens of miles square. This man was not normal! Clauses and the Constitution… am not sure what you’re trying to convey in your above reply or if it even has a thing to do with what I said in that first line. I’m slow sometimes! Cold River, is now and was then, an easy days walk, even on snowshoes, to “civilization”. In -30 degrees Paul? With ten feet of snow?